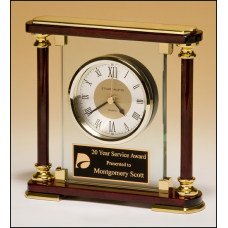 BC8 American walnut clock with a brass diamond-spun bezel with glass lens and ivory dial. 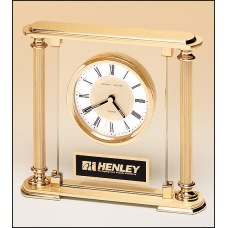 12.5" x 9.5"Airflyte edge.Supplied with lifetime guaranteed quartz movement.Laser engravable plate.S..
BC9 Airflyte clock with glass upright, brass feet and top and metal goldtone columns. 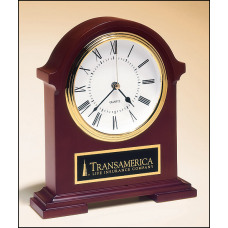 5 5/8" x 7 1/4"Diamond-spun dial and three hand movement.Clock supplied with lifetime guaranteed qua..
BC901 Napoleon Clock traditional styling with deep,hand-rubbed mahogany finish. 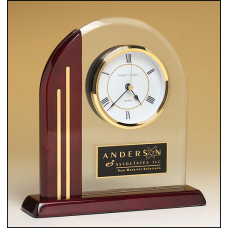 7.5" x 8.5"Clock movements are guaranteed for life.Batteries included.Laser engravable brass plate.I..
BC919 Arch clock with glass upright and rosewood piano-finish post and base. 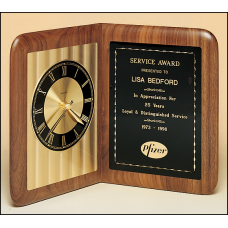 7 1/2" x 7 7/8"Clock supplied with lifetime guaranteed quartz movement.Laser engravable plate.Solid ..
BC937 Rosewood piano-finish clock with easel back. Diamond-spun dial, three-hand movement. 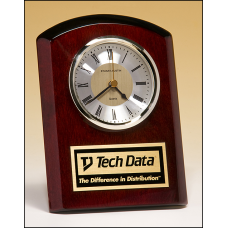 5" x 7" Laser engravable brass plate.Individually gift boxed.Clock movements are guaranteed for..
BC95 American walnut clock with an Airflyte Edge. 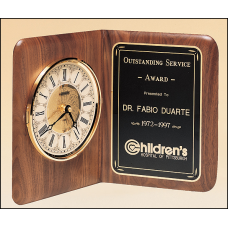 12.5" X 9.5"Diamond cut black brass plate.Supplied with lifetime guaranteed quartz movement.Solid br..
BC956 Traditional glass and rosewood piano-finish clock with gold metal accents. 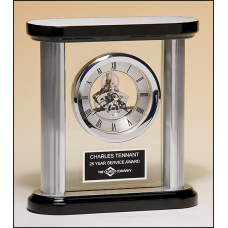 7" x 7"Laser engravable brass plate.Individually gift boxed.Clock supplied with lifetime guaranteed ..
BC977 Skeleton clock, silver movement with sub-second dial, black and silver case. 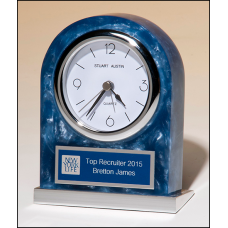 7.85" x 8.5"Laser engravable aluminum plate.Individually gift boxed.Clock movements are guaranteed f..
BC980 Acrylic clock with polished silver aluminum base. Silver bezel, white dial, three-hand movement. 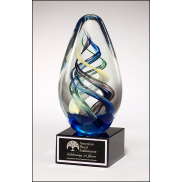 5.25" x 3.85" Laser engravable plate.Individually gift boxed.Clock supplied with lifetime guara..